Treat your spider veins today at Vein Center of Lancaster at Community Surgical Associates! ""I have always had varicose veins; however, after the birth of my 3rd child, my legs swelled more. They felt heavy and I felt sluggish. Being a runner, this was not a good feeling. After reading about VNUS Closure® and seeing an ad for a free screening, I called for an appointment. I was seen promptly and the rest of my appointments were scheduled quickly and at my convenience. Within one month after my surgery and treatment, I was back to my true running form." "I had pain and swelling in my right leg with a large bumpy visible vein. I thought I’d have to live with it or pay for a high-priced cosmetic procedure. I didn’t know that my problem was a medical condition until I talked with Dr. Kline. He explained how this procedure solves the problem at the source – the diseased vein. He also explained that it was a quick outpatient procedure and I would be back to normal activities in one day! AND I would not have any scars! After the procedure, I was on my way home and the whole thing only took a couple of hours. Honestly, I could have returned to work the same day. The next day I was back to normal. I was surprised at how little pain there was. In two weeks I had no symptoms at all and NO SCARRING!! I was thrilled! My life has improved. I have confidence when I cross my legs, no pain, and no pressure in my legs at night. Unsightly purple vein is gone!" 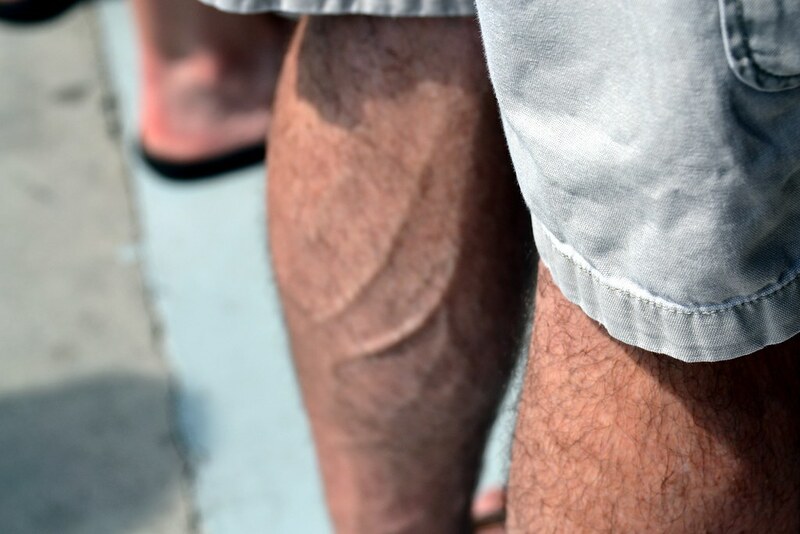 "I had varicose veins since high school. I tried wearing support pantyhose but nothing seemed to help. After meeting with Dr. Kline, I asked him if I could dance at my niece’s wedding in 3 weeks. This is the only function which I asked him to make possible and he certainly did that! I had surgery on both legs one week apart. I can only express how professional and fast moving the staff was which gave me no doubt how well trained and ready for any type of situation. I danced with my grandsons at my nieces wedding for three hours! I can now go to a public swimming pool and there is no more swelling of my ankles." "I had very visible varicose veins on both legs and I wanted to have the visibility of them removed. After my procedure, my legs look so much better!" "I had pain in my veins, heaviness in my legs and was dragging my feet. After the procedure, I had no pain at all! The next day I was not dragging my feet and I can walk better." "I chose the VNUS Closure® procedure because it is less invasive then other treatments. I had swollen veins and a tired, heavy feeling in my legs. I had good care and the staff explained the procedure well. My legs feel better. I did not know how bad my legs were until after the procedure and I have had many compliments on the appearance of my legs."